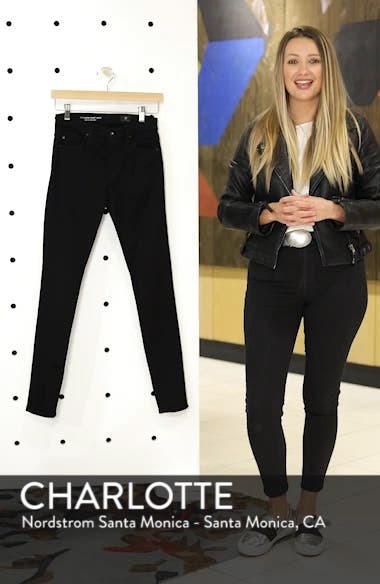 Sophisticated high-rise skinny jeans are fashioned from classic black denim woven with a touch of comfortable stretch. Choose a sizeIf between sizes, order one size down. 23=000, 24=00, 25=0, 26=2, 27=4, 28=6, 29=8, 30=10, 31=10-12, 32=12, 33=14, 34=14-16. High rise.